We have recently expanded and refurbished our baby unit resulting in the whole of the ground floor being transformed for our babies. We are based in a converted house which has an amazing home from home experience. 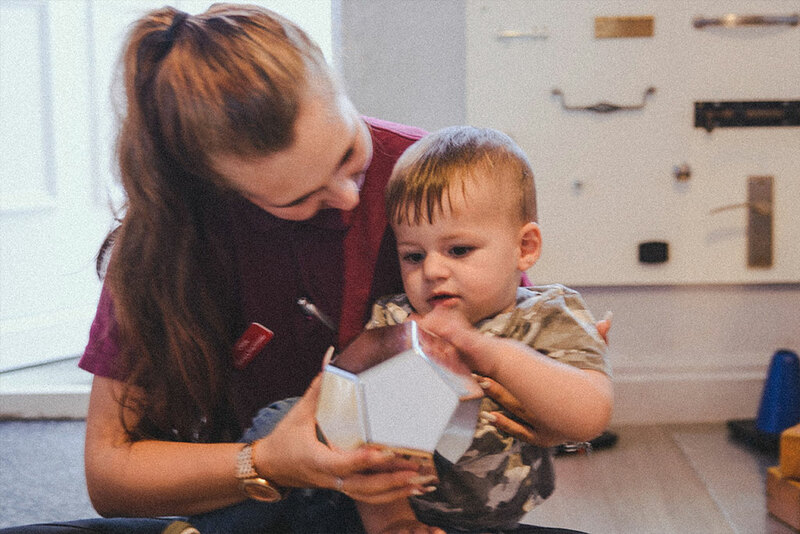 We have excellent dedicated staff working with the babies, who have suitable training and experienced in caring for such young children. 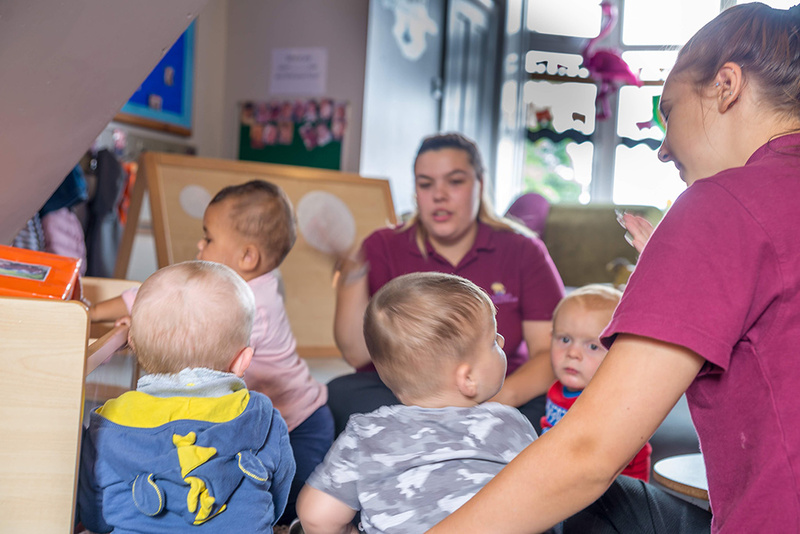 The Early Years Foundation Stage is embedded and followed daily through regular observations and planned activities ensuring we promote the three prime areas as a baseline to ensure the babies are developing and thriving in every aspect. Where children have access to a stimulating and challenging environment. This environment provides natural resources for children to explore and investigate allowing them to develop an inquisitive mind. Children are able to access sand and water play and explore malleable experiences allowing their creative little minds to go wild. This area is set up in such a way to reenact a home from home feeling allowing our babies to experience a unique experience as this area feels just like your very own Living Room. Babies will feel familiar with a real sense of belonging and can enjoy imaginative play such as cooking shopping and taking the dolls for a walk/putting them to bed etc. 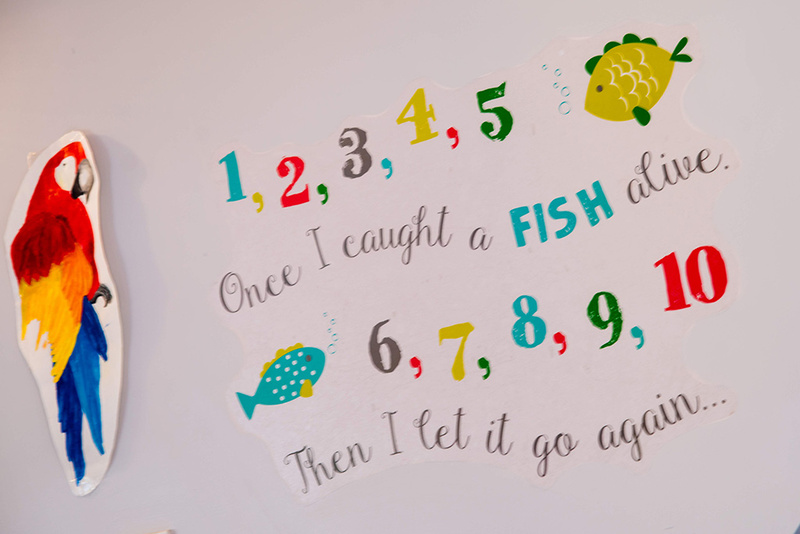 The babies have their very own food room in which we promote social skills and also language development allowing them to learn simple words such as ‘thank you’. 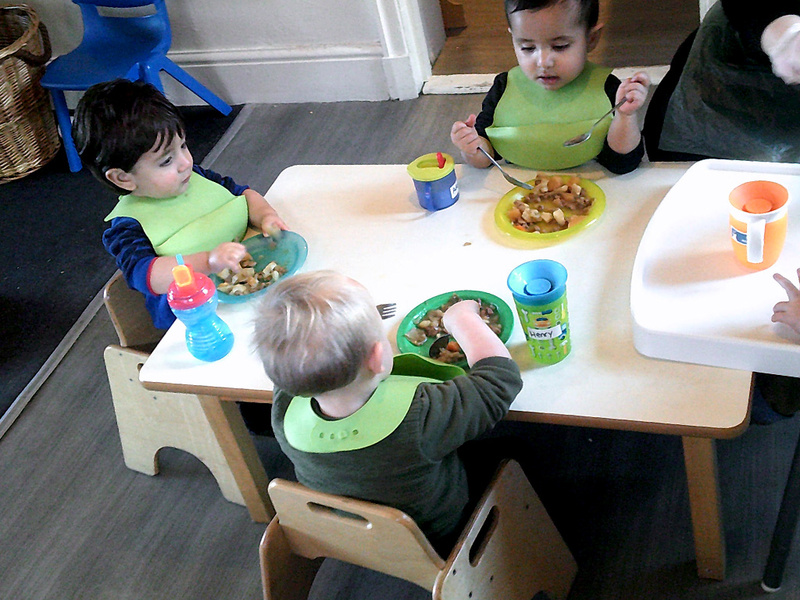 We provide low level tables, alongside high chairs, allowing the babies to enjoy lots of delicious snacks and meals as well as independently having access to fresh water and milk throughout the day. 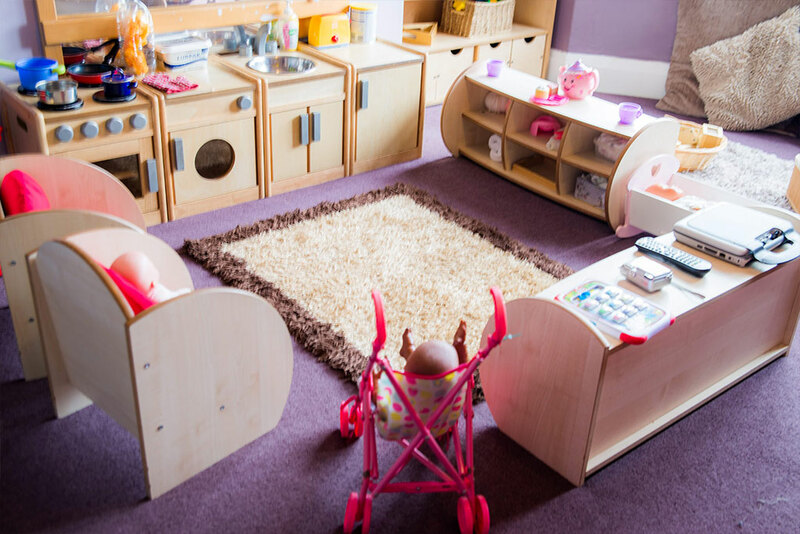 An area which provides a physical enabling environment for the babies to explore an array of soft furnishing equipment such as a ball pit, crawl through tunnels and play ramps. Babies are all very unique therefore we ensure we follow their individual daily routines, allowing them to sleep in a quiet relaxed environment with soft soothing music playing. This area is completely separate from our play rooms to enable a much needed nap without any disturbances. We have a lovely spacious enclosed outdoor area which has been specifically designed and equipped for our babies–2 1/2 year olds. This allows for lots of safe play with age appropriate resources and activities. We have had artificial grass and a safety surface fitted along with lots of new toys allowing our children to enjoy the outdoors in all weathers all year round. We see the outdoors as being equal to the indoors therefore we ensure we provide similar continuous areas of provision allowing children to have lots of learning experiences such as imaginary area, sand and water play, climbing frame, ride on toys, book area, snack area and also lots of sensory experiences. The 2-3 age group benefit from free play with a happy balance of self chosen and adult-led activities. From 2 years onwards many children are ready to toilet train. We work closely with parents to allow children to feel happy and confident during this time. 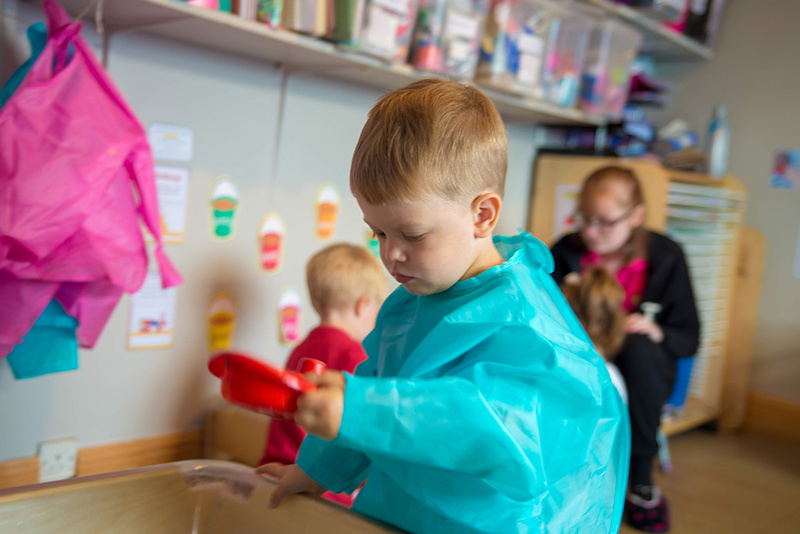 We have a Messy Room in which all children access sand and water play, painting, playdough, baking and a snack area. The children are able to access snack and drinks throughout the day. 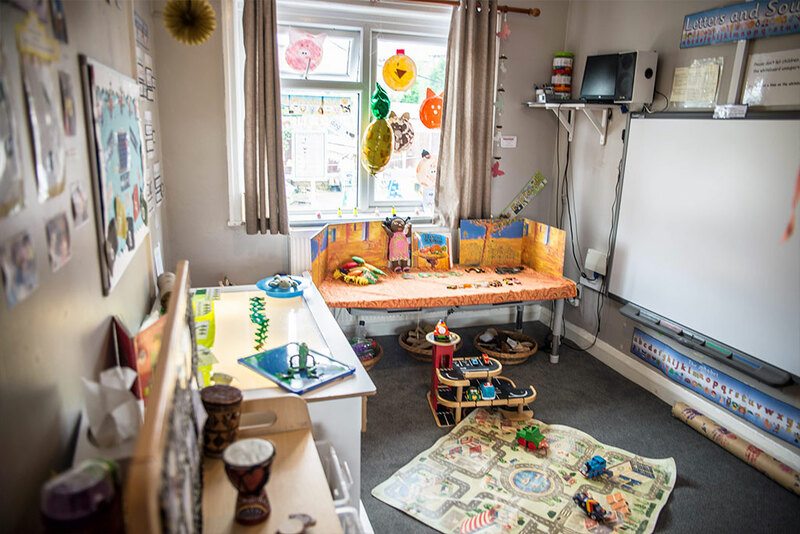 We also have an Imaginary Room which changes regularly depending upon children’s interests and events that are happening “in the moment” and consists of a home-corner area, construction site, book/cosy area and a small world area. Our ICT/Numeracy Room has lots of mathematical and literacy resources. We also have an interactive whiteboard which allows children to benefit from using ICT and also access early educational games online. These areas have been expertly designed with natural age appropriate furniture and equipment. 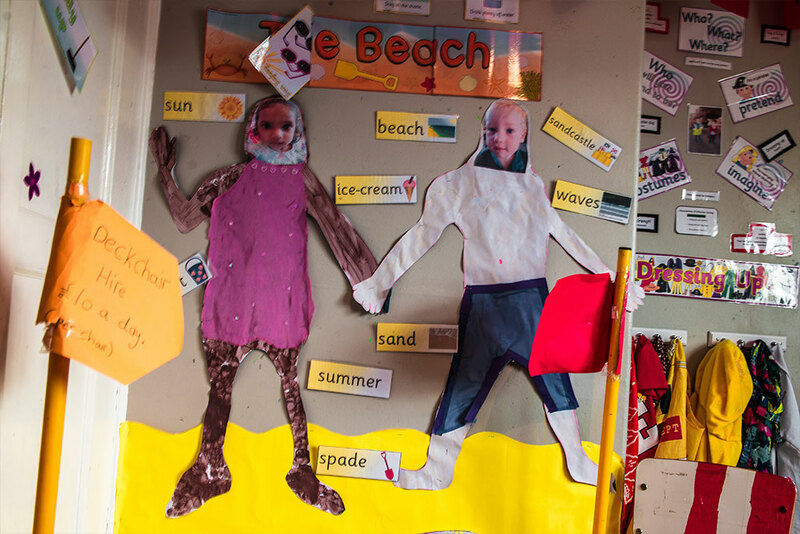 All areas of the EYFS are incorporated into this fun yet challenging enviroment. 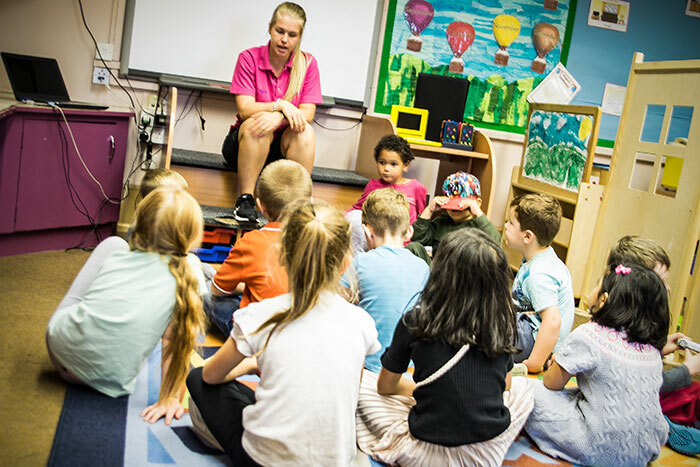 Children are encouraged to access our zoned areas which are fully resourced to ensure children independantly choose their resources, whilst thinking critically to enhance their play. Children continue to thrive further as they transition through our age appropriate areas under the guidance of our dedicated staff who are constantly planning, observing and tracking the progress of their keyworker children ensuring gaps are closing and children are positively striving forward. They also benefit from a state of the art outdoor play area which is fully resourced for children to play and explore many an activity from climbing, balancing, digging, cooking, constructing and much much more. This is our speacialist pre school where children attend in the year they will be going to school. Excellent teaching skills are embedded, led by our EYT and exceptional highly qualified pre-school practitioners. They encourage the skills children need to succeed at school. Children can enjoy an abundance of open ended child/ adult led activities and learning experiences. 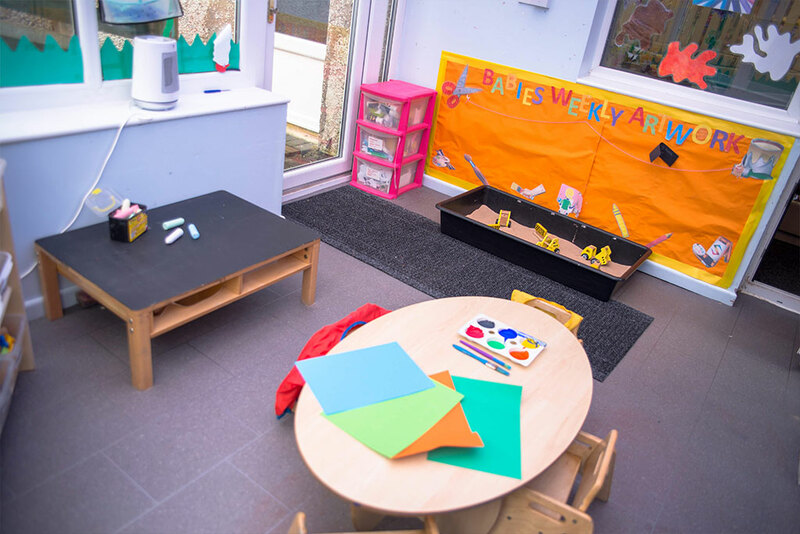 Our rooms are designed and fully equipped with resources that focus on the particular areas of learning, all relating to the EYFS. These include focus learning areas specifically for Maths and Literacy. Although promoted throughout the environment, along with ICT and communication language, we find that children can access these focus areas in small groups allowing active learning to take place so children can concentrate enjoy and achieve what they set out to do both indoors and out. 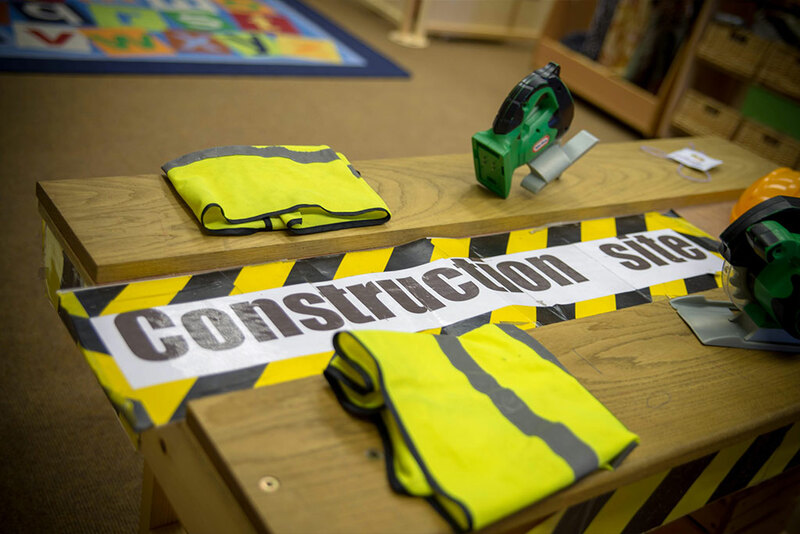 Pre school also offers a large areas designed for construction play, small world, role play and an expressive arts and design area. 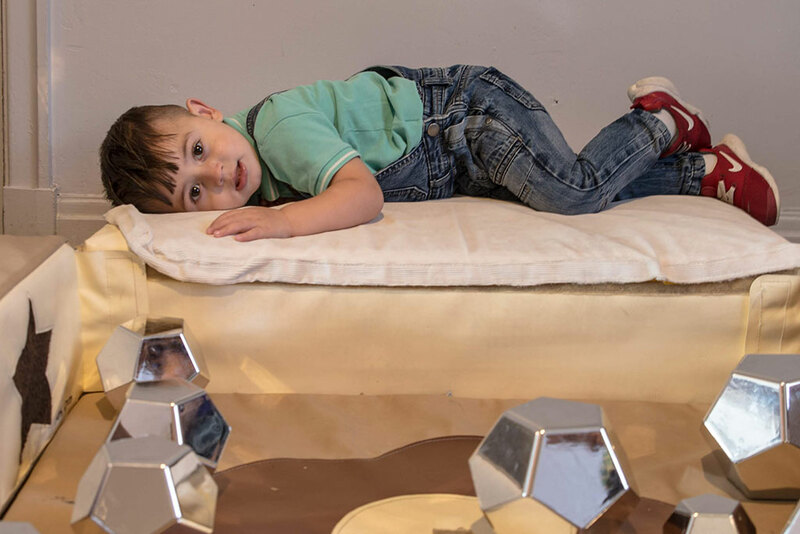 Within all these areas there is an abundance of resources for the children to use their own ideas, play and explore, choose their own way to do things and enjoy achieving what they set out to do. Our staff are great role models and encourage children to develop good manners and cooperative attitudes. Children nurture one another and frequently engage in teamwork during play. Forest Schools is an educational approach to outdoor play and learning in a natural wooded area. It is delivered by a Forest School Leader along with other trained practitioners who are passionate about The Great Outdoors and natural environment. Forest Schools allows us to take the classroom outdoors so children can explore and enjoy a wide variety of natural activities and experiences – often offering opportunities to take risks, make choices/decisions of their own. Whilst learning to care for, and understand the natural world, children thrive and appreciate the opportunities that surround them in this environment. All pre-school children enjoy the Forest School approach during sessions throughout the week – all year round. Settling in visits are offered to new children joining the setting. These are free of charge and are offered for as long as the child needs to feel comfortable. 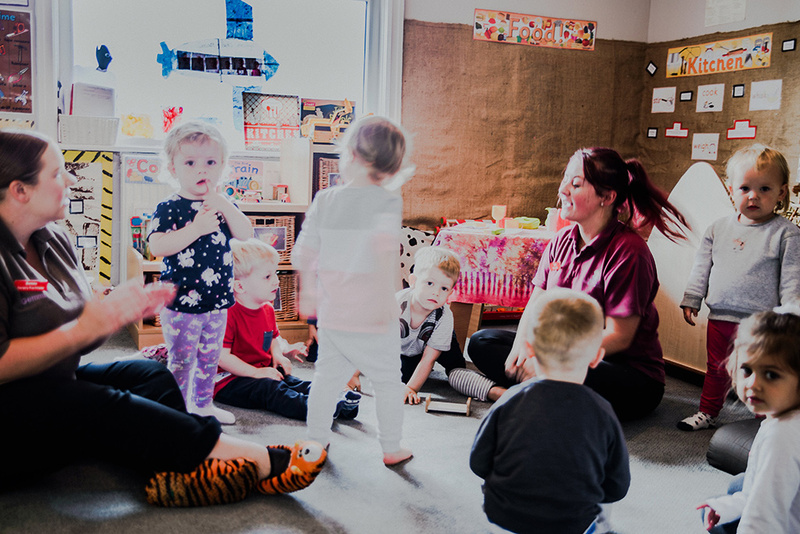 Parents are welcome to stay with the child initially, however it is beneficial to leave the child at the setting as they are then fully prepared what to expect when they start nursery. Information is gathered from parents/guardians regarding the child so that Key Workers can get to know the child and to plan for their needs and interests. Transition into a new room is planned with staff and parents and is gauged on when the child is ready to make the transition based on their development and confidence. Meetings are held between Key Workers to exchange information when a child is ready to begin the transition process. ‘Visits’ are made into the next room to ensure that the child will settle, these are made with the child’s Key Worker present wherever possible. Parents are kept fully informed of the transition process so that they can support the child with this at home, as it can be a very unsettling time for the child. “Staff expertly guide children to follow their own ideas”.